Bring a large sauce pan of water to boil. Drop them in boiling water and let it cook for 2 min or till you see skin peeling. Transfer it immediately to bow filled with ice. Carefully peel the skins and drain excess water by placing them on kitchen towel. Add in cornflour, salt, spices and mix well. Heat oil in a frying pan, when really hot drop in peels in batches. 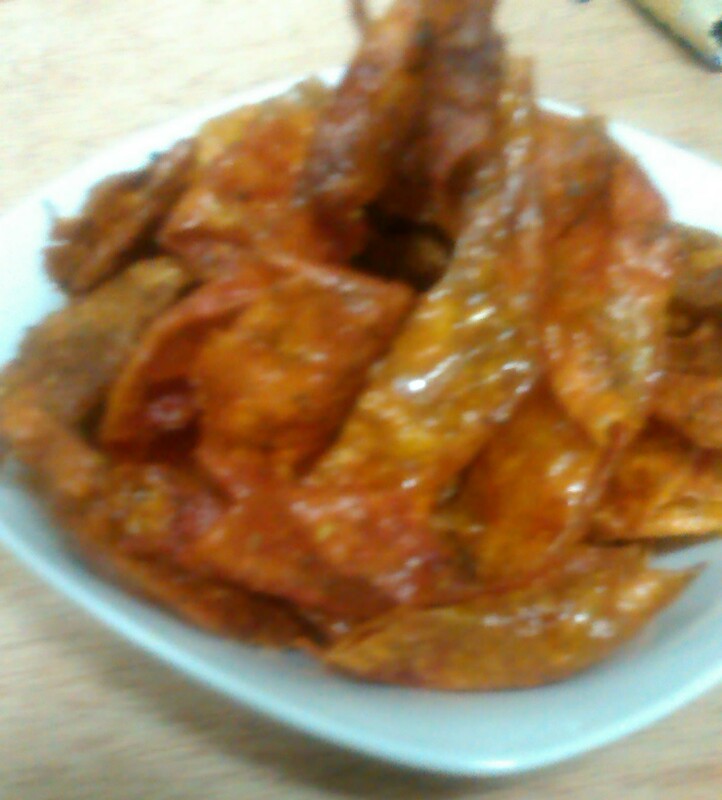 Fry for 2 mins or till it crisps, drain on kitchen towel / paper. Serve with any drinks, juice of your choice. On a rainy day a cup of hot coffee / tea and to accomplish it some chips makes our day. Chips means lots of carbs, fats and kcal, but this chip of mine is mouth watering yummy and yet not heavy on carbs and fat as they are prepared from zesty tomatoes. 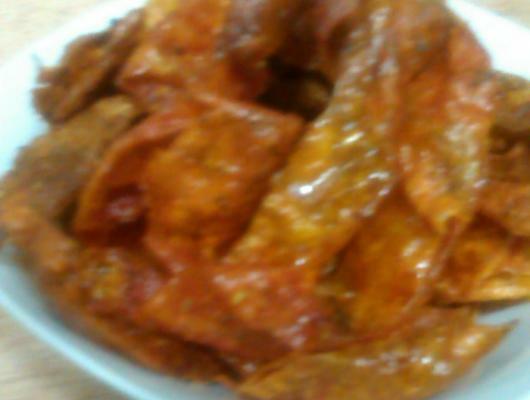 Yes you read it right they are tomato chips and that to made out of the tomato skin which we usually discard after blanching.